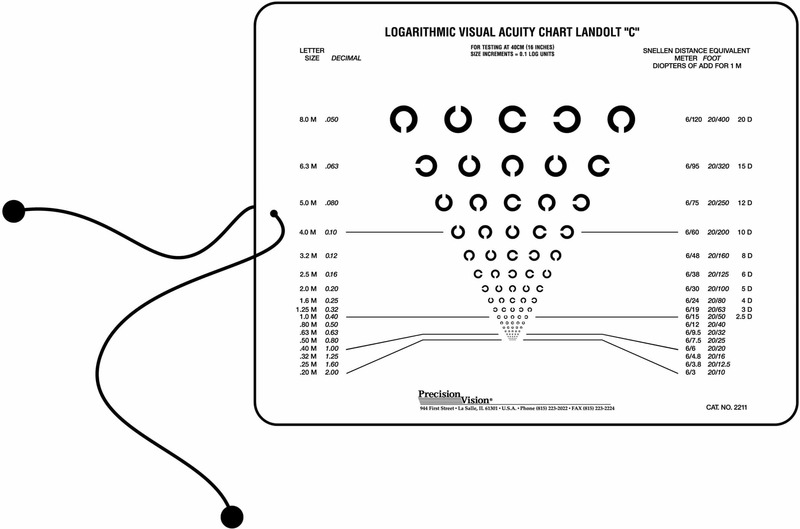 Logarithmic Progression using ETDRS Chart 1 and ETDRS Chart 2. 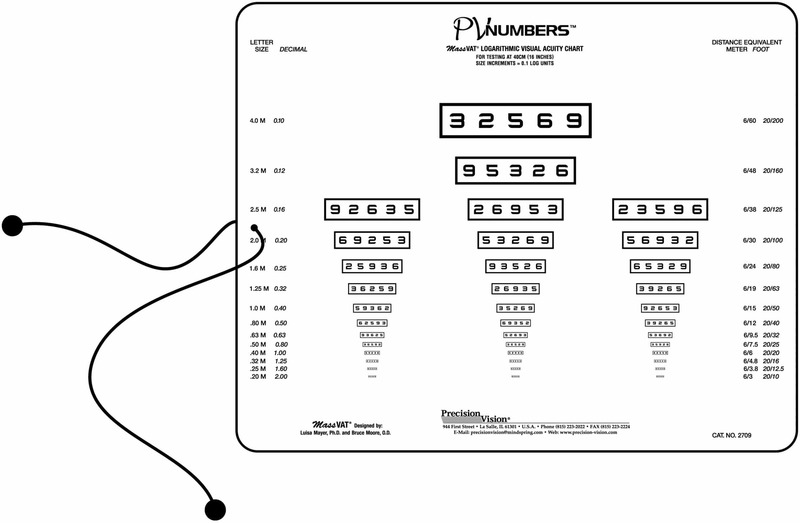 Size increments = 0.1 LOG Units. 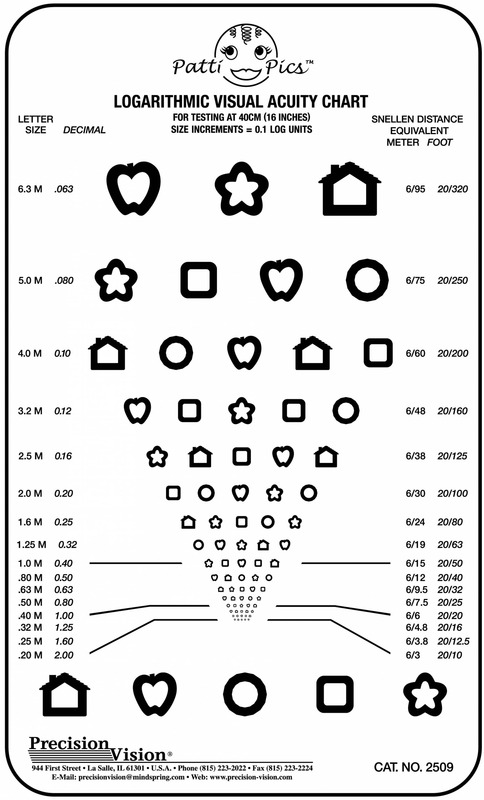 Features notations for Letter Size, Decimal, Meters, Feet, and Diopters of Add. 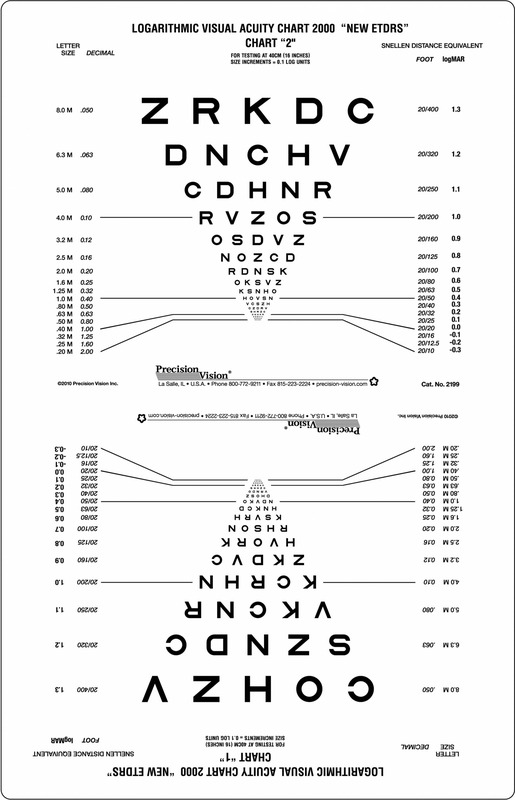 Mask included for concealing bottom portion of the chart while using the top for testing. 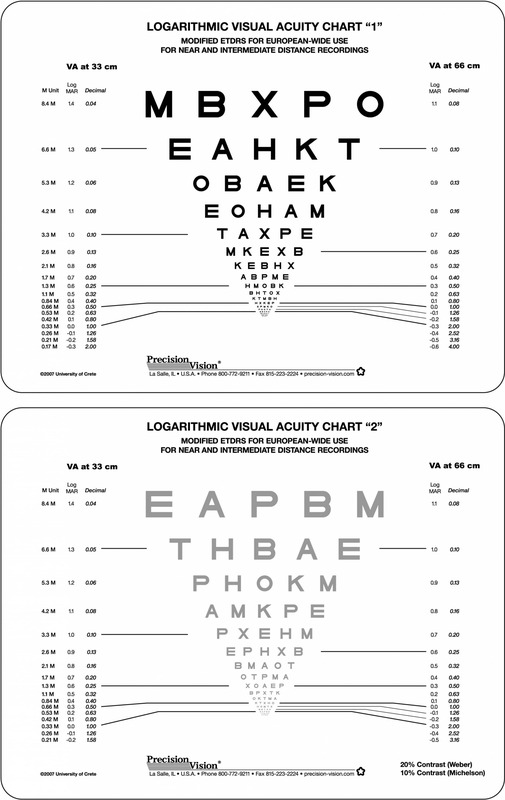 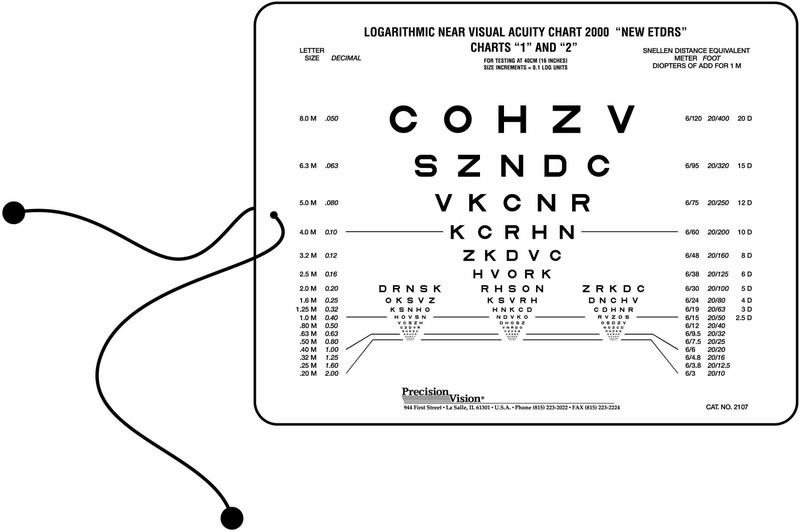 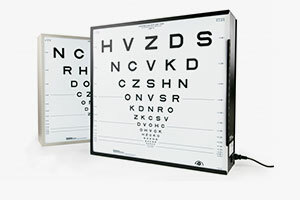 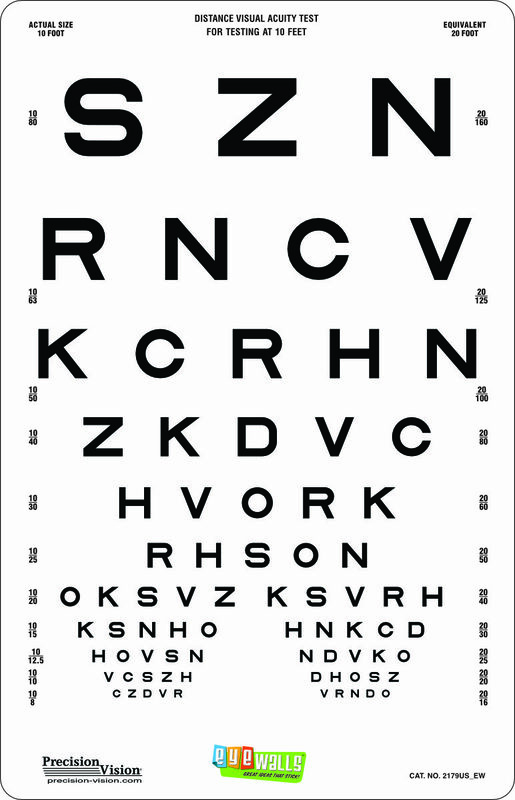 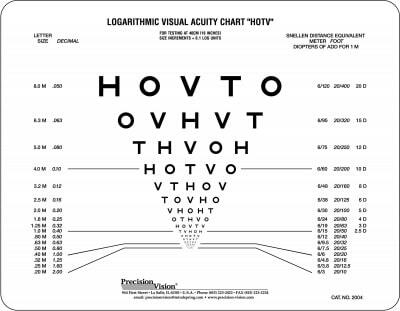 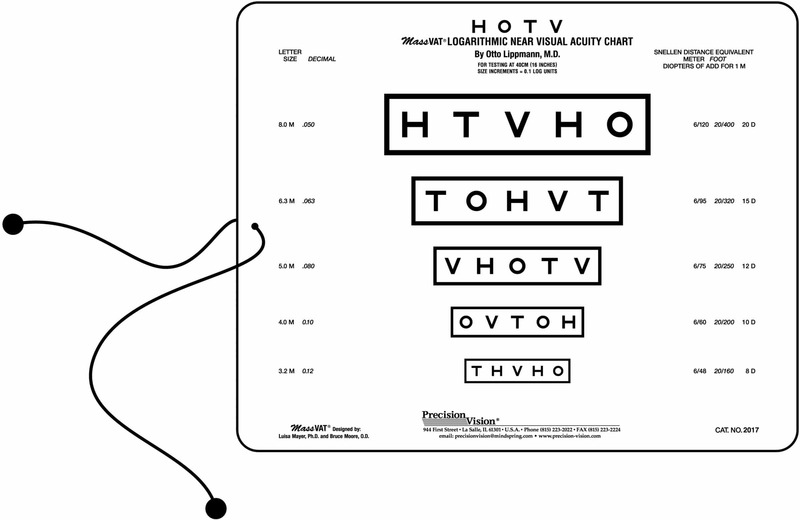 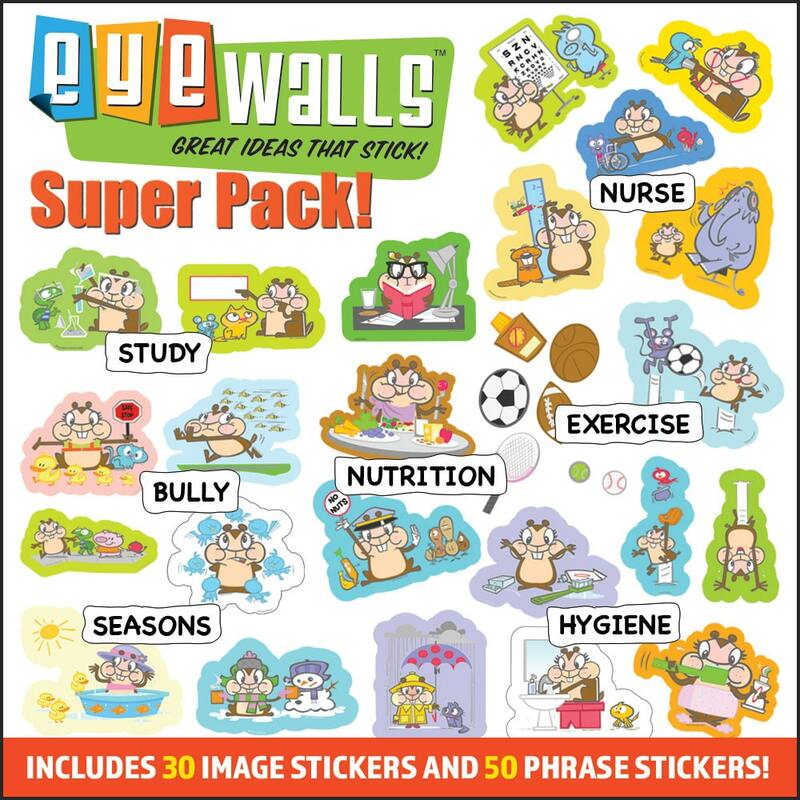 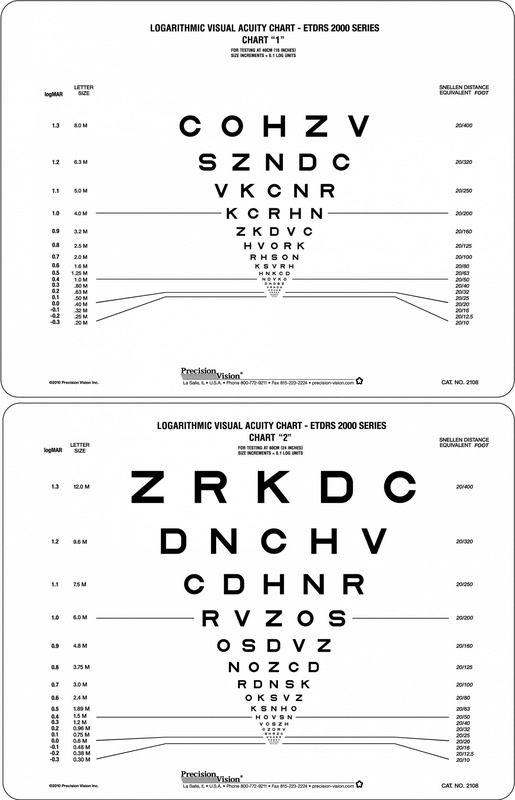 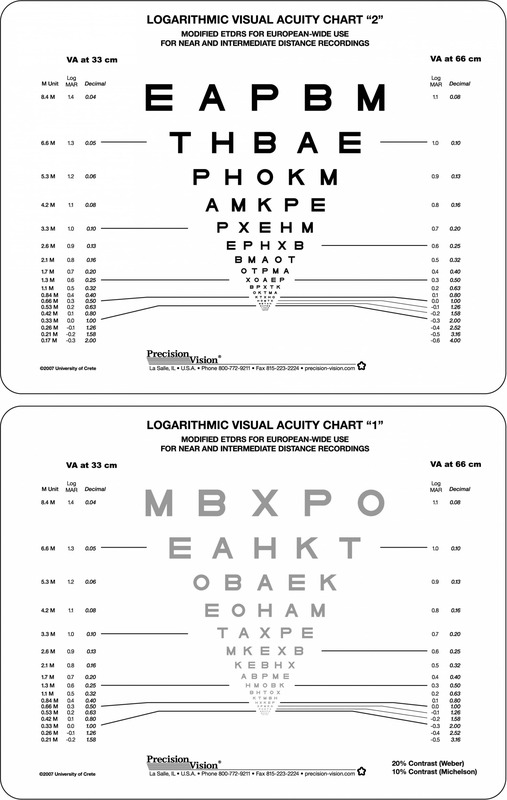 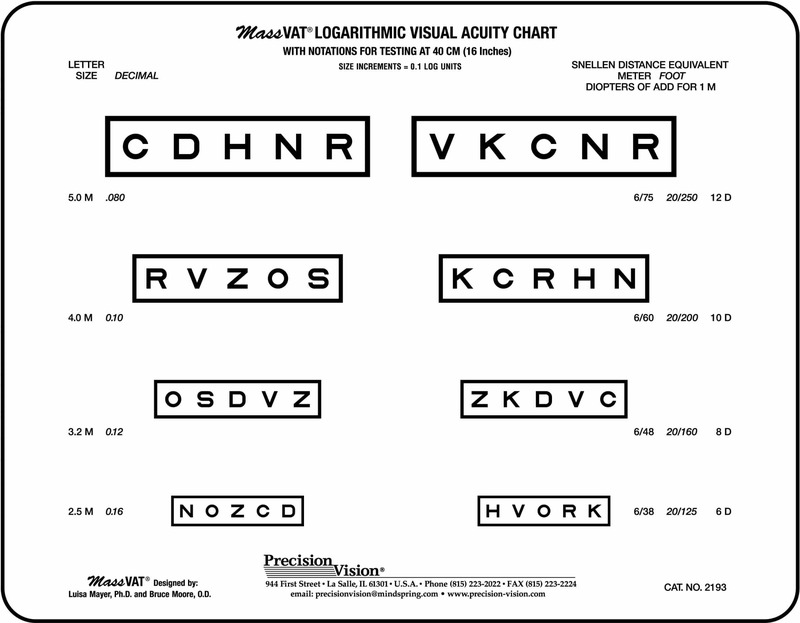 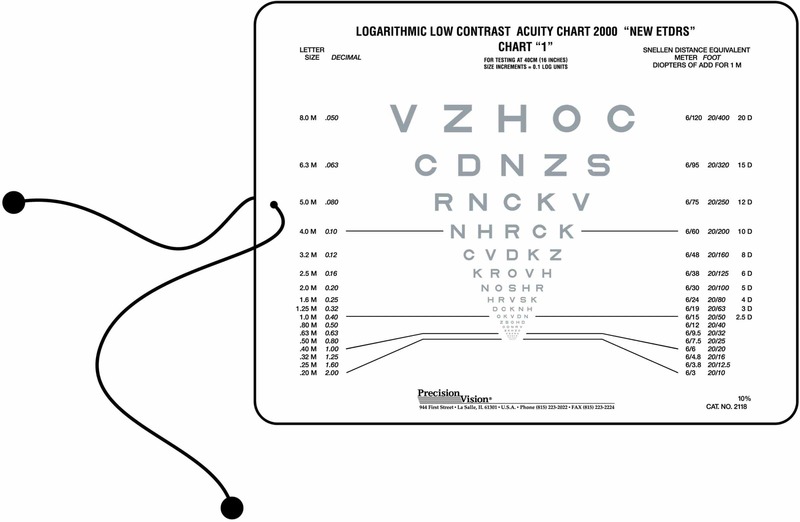 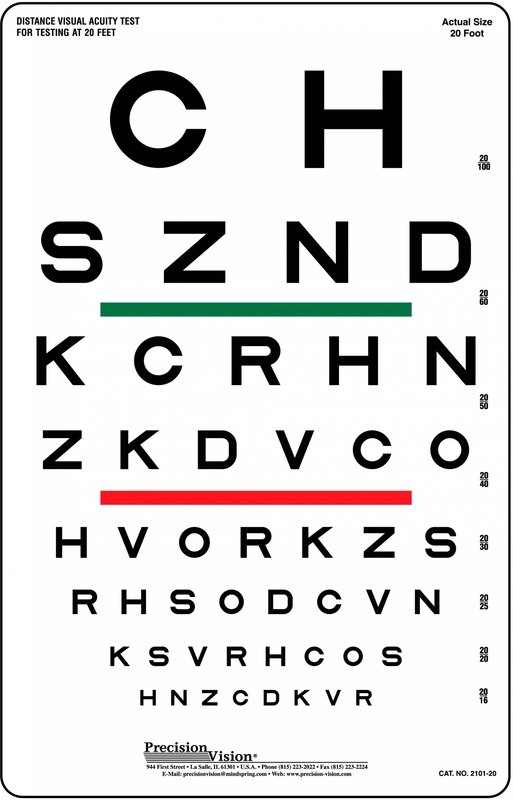 Near vision test uses the same format as ETDRS 2000 series charts. 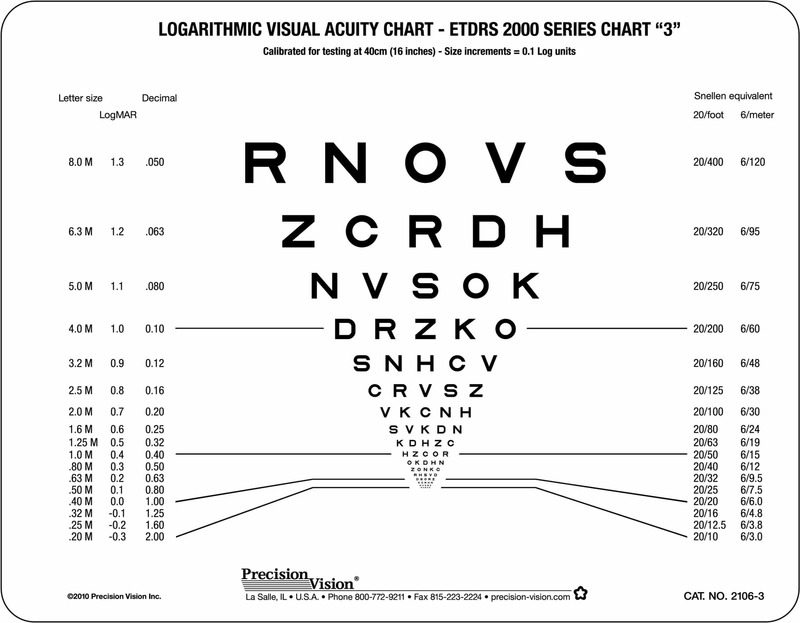 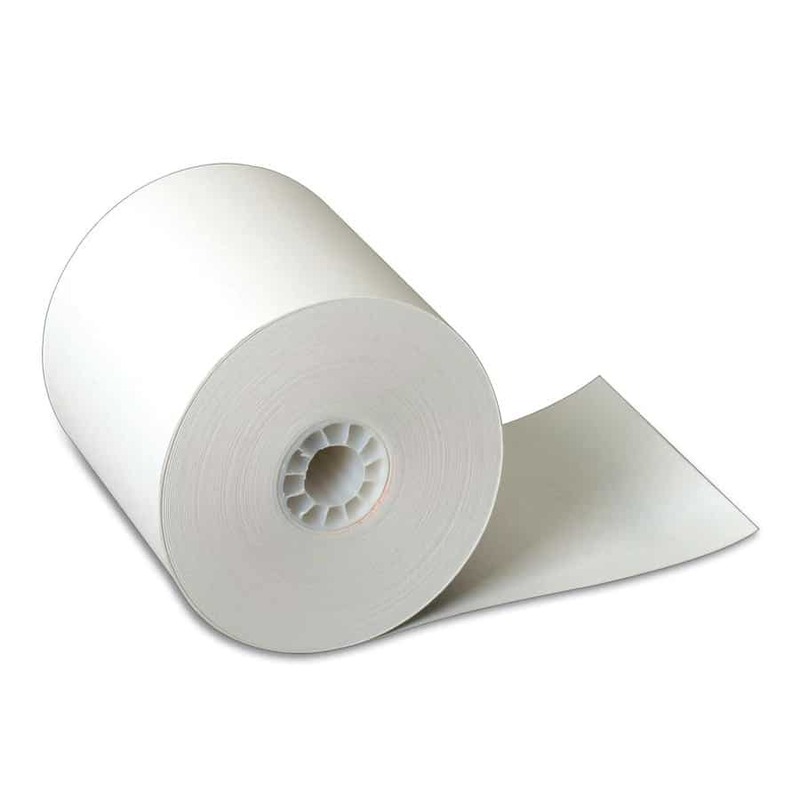 ETDRS format is calibrated for reliable, repetitive testing using equal difficulty and geometric progression. 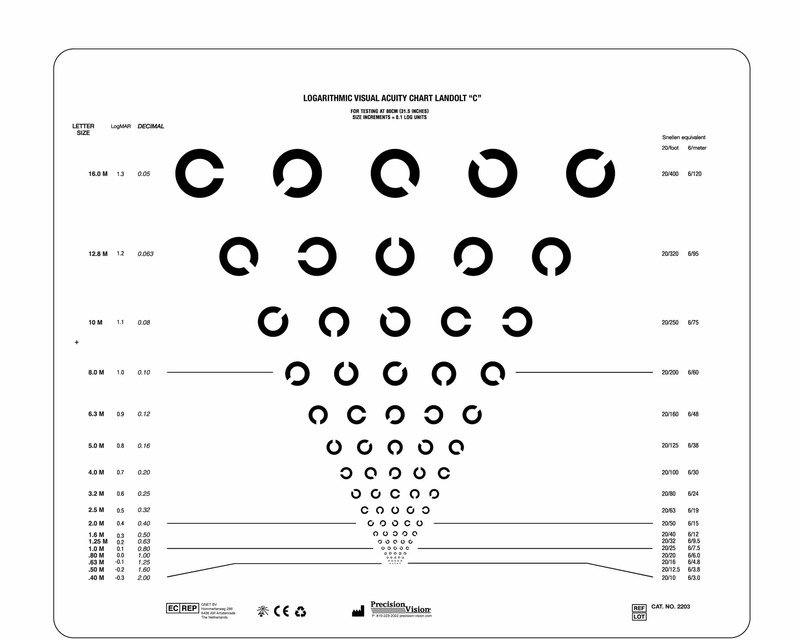 Vision test uses Sloan optotypes for equal difficulty from optotype to optotype and from line to line creating a uniform level of difficulty. 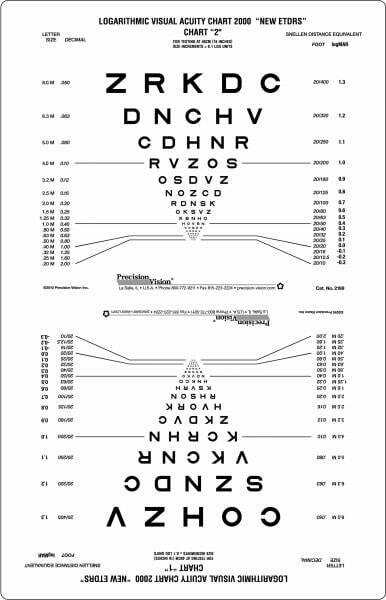 This test features two different ETDRS style permutations for repetitive non memorized testing for both eyes.